Featuring a reliable waterproof design, these lights have a bulb replaceable capsule that protects the bulbs from corrosion and thermal shock but still allows for easy access for bulb replacement. These lights meet FMVSS/CMVSS 108 requirements for trailers over 80" wide when properly mounted. 8.03" x 2.94" x 2.83". Matching 8-Function, Left/Roadside Wesbar #403026 available. Limited 1 Year Warranty. 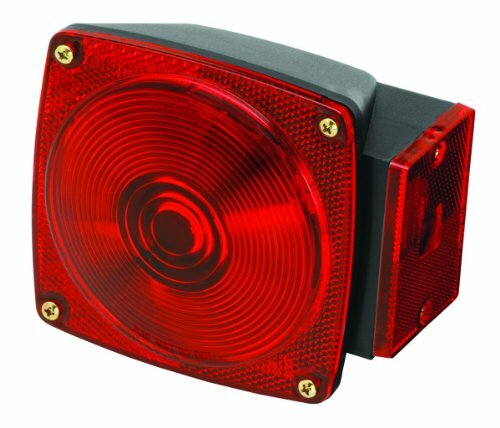 Sonically-sealed waterproof clearance/side marker light with break-resistant polycarbonate lens. Available in stud-mount styling. Features a pre-installed 15" pigtail. Meets FMVSS/CMVSS 108 requirements for clearance/marker lights when properly mounted. 2-1/8" x 1-1/8" x 1-1/16". 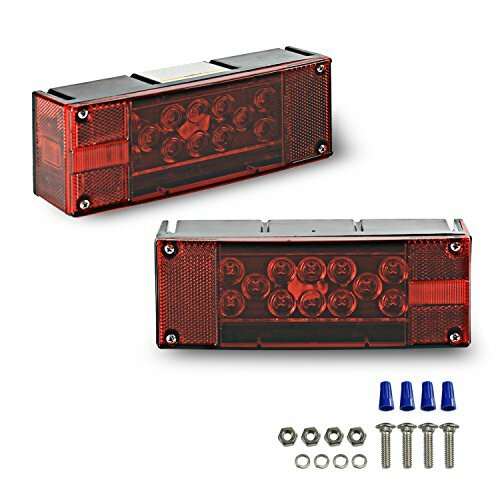 This is a Optronics Red Rectangular LED Combination Tail Light Kit which includes One Passenger Side and One Driver Side Lights and mounting hardware. These light are designed for marine trailer application and are sealed and waterproof construction and are a universal mount. These lights feature light tube technology and SMD LED. LED Post Guide Light KitThese tough, long lasting, waterproof and shockproof LED post guide lamps make it easy to see your trailer's position when backing down the ramp and dramatically increase your trailer's visibility over the road at night. One piece lamps fit easily on top of your existing 2" PVC post guide-ons. Amber light faces front, red faces rear. Includes two sealed one piece LED lamps, each with 8' of wire and all necessary electrical connectors and post locking bolts. 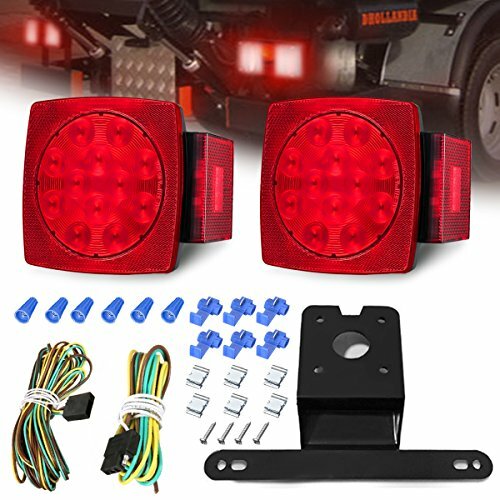 This is a Optronics Red Rectangular LED Combination Tail Light Kit which includes One Passenger Side and One Driver Side Lights and a 25 ft. harness and a Black License Plate Bracket, Stainless steel mounting hardware. These light are designed for marine application and is a sealed waterproof construction with a universal mount. It is hard wired, with separate ground wire with stainless steel hardware. Nothing is more frustrating than improperly working taillights. Fortunately, these sonically sealed, waterproof amber side marker/clearance lights ensure lasting durability amid routine submersion. LED technology provides higher life expectancy, lower power draw and lack of filaments to break due to typical road vibration. Meets the requirements of SAE/DOT/FMVSS/CMVSS standards when installed properly. Seachoice is committed to delivering quality marine accessories and OEM replacement parts to satisfy fishing, boating and watersports enthusiasts worldwide. Seachoice is run for and by boaters offering a wide-ranging product line while remaining affordable. 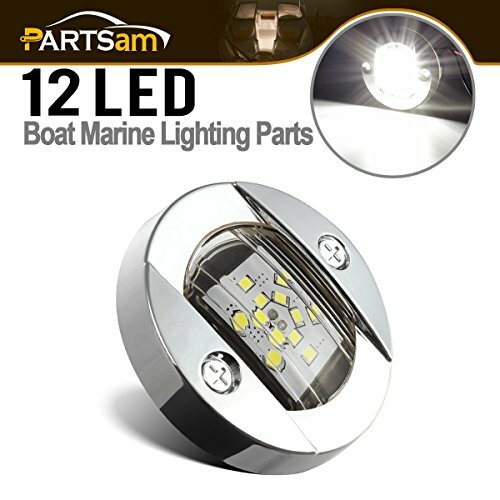 12 LED LIGHT: This Stern light has 12 bright LED, high power to ensure your marine requirements. IP68 WATERPROOF: Waterproof range up to IP68, no need to worry of marine working. Polished 304 Marine Stainless Steel: Quality flange constructed; Durable Light Body: Durable clear plastic lens and body; IP68 WATERPROOF: Waterproof range up to IP68, no need to worry about marine working. 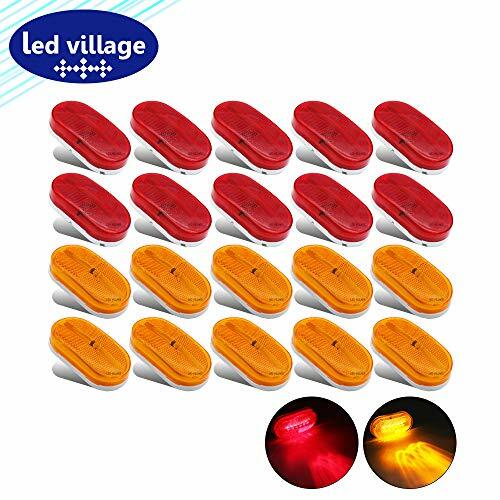 [Pack of 20] 10 Amber + 10 Red 6 LED super power bright lamp brightness with high quality SMD chip, brighter and light faster, long-lasting life span, super power lamp. 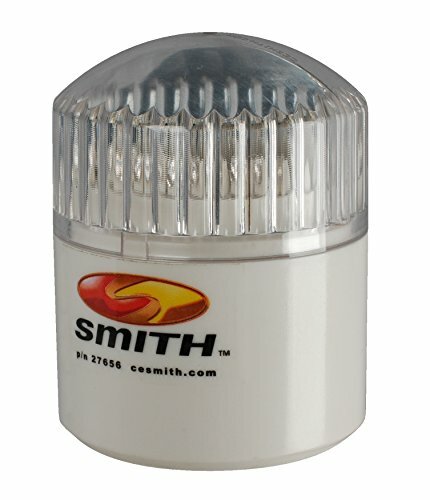 Energy-saving: low power consumption, long service life, environmental-friendly, great replacement LED, shock and vibration proof. 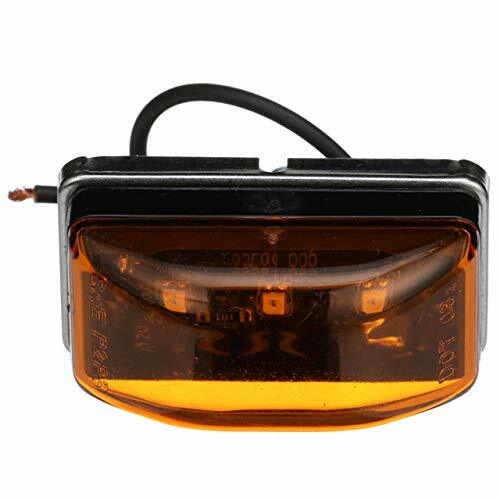 Perfect on most 12V DC, used as Indicator light, Clearance light, Side Marker light, Fender light, Trailer light, Identification, etc. This LED Stainless Courtesy Light for your camper trailer, marine, boat, caravan, RV applications. It is both suitable for all of your interior and exterior applications as a courtesy light, step light, accent light, or garden light. It is equipped with a waterproof construction, and can provide a trustworthy pedestrian lighting for your walkways and assist with the privacy of your gardens. It features a recessed mounting design, harmonizes well with any architectural building. 3LEDs; Clear/Blue; Surface mount design; Snap-on Bezel; Black Finish Bezel; Ideal as a map, reading, chart, foot well, convenience, or utility lamp; Dimension: 3-1/4in. x 1-3/5in. x 2/5in. This small oval LED convenience, courtesy, reading and map light is an ideal lighting source for your RV, Truck, Car, Utility Vehicle, Boat or Aircraft; suitable for interior or exterior courtesy lighting on walkways, step or storage areas; found in high-end automotive and marine vehicles worldwide; Recessed mount. These submersible lights are ideal for boat and PWC trailers less than 80" wide. Fully gasketed, screw on main and side marker lens allow for easy bulb replacement. Universal 2" on-center stud mount. 5.25" x 4.66" x 3.76" overall height. Matching Left/Roadside Wesbar #2523023 also available. 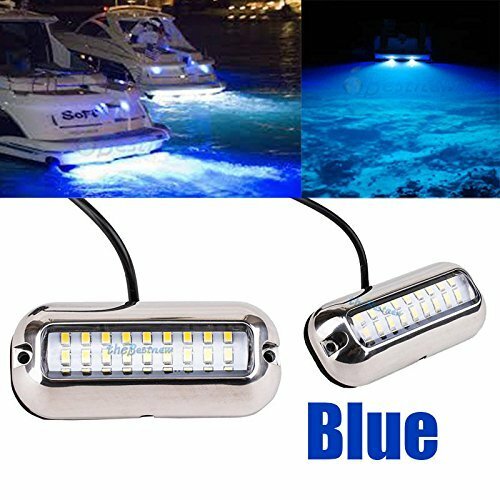 These lights are ideal for boat and PWC trailers less than 80" wide. Universal 2 on-center stud mount. Prewired for easy installation. 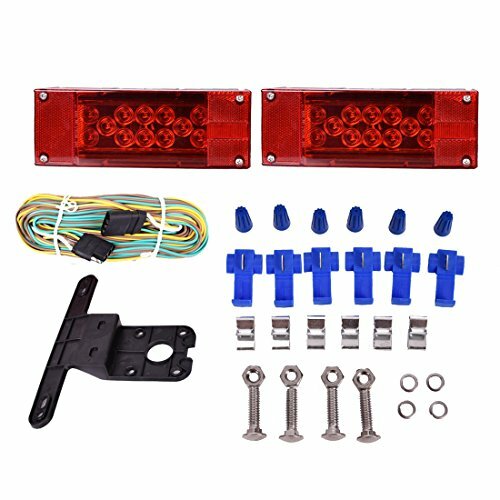 - Includes 2pcs Red, waterproof, universal mount LED tail lights(Driver's-side light includes license illuminator), wires, 25FT wiring harness, license plate bracket and stainless steel hardware. 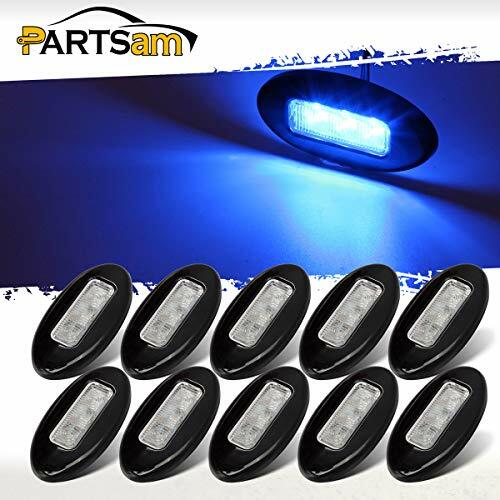 - Left light have 22 diodes which include 4 diodes for license plate light function,Right light have 18 diode. 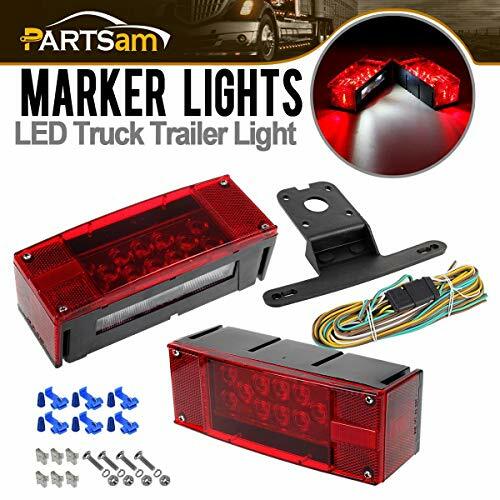 Partsam Submersible Rectangular led trailer light kit includes two 12V LED tail lights(combination of running lights/brake lights/turn signals and license plate light), stainless steel mounting hardware and 25ft length of 4 pin wire Harness for enough use come with 25ft length wire harness and 6ft wire harness). All of our lights are built with corrosion resistant materials. 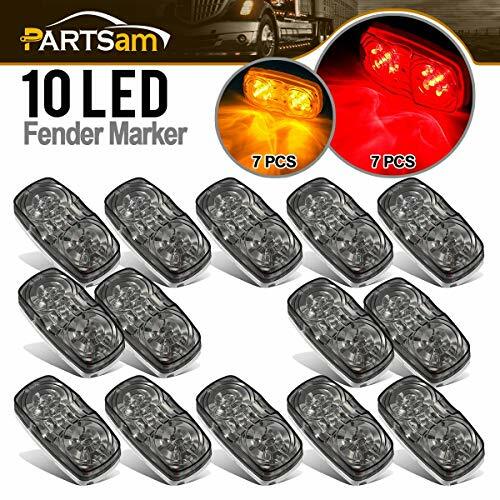 Partsam led trailer lights are 100% compliant with DOT FMVSS108 , SAE,CE,FCC and ROHS international standards.This ensures that our led tail light are meets federal requirements for visibility, durability, and reliability and it can guarantees 200% safety when you are in driving. The long-lasting, submersible LED trailer light kit is designed for trailer applications under 80inch. Features universal back & side mount options. LED lights eliminate the need for bulb changes.Submersible for boat trailer use. 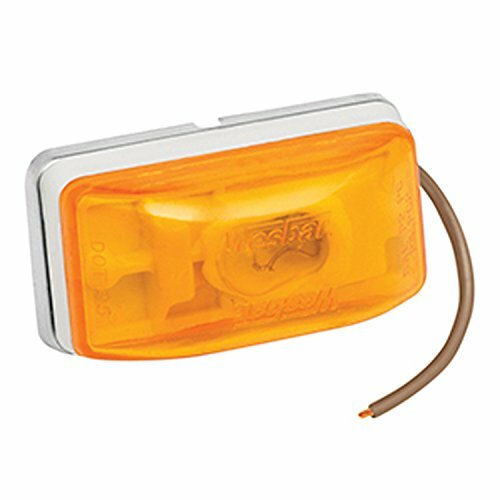 High visibility safety lights are easy to mount. We have upgraded this item, and the brightness,waterproof and spanlife has been greatly improved. Now it has become perfect.So the wiring might be a little different. Here is the installation instructions. Use the longer wire harness connect to the light. Then,they are very easy to wire and if your new to wiring here is color code. Light dimension: 4 9/16" * 5 3/16" * 2 3/4"
Applications: boat, snowmobile, camper, utility trailer,truck, boat, bus, Lorry, Van, caravan. If there are something wrong with product,please contact us as soon as possible! We have the best after-sales service, and we promise to give you a satisfactory solution. FULL SERVICE KIT :AMBOTHER trailer light kit has everything you need to get your lighting system up and running. Each kit includes two 12V LED combination stop, tail, turn signal lights 25ft wiring harness, license plate bracket, and stainless steel hardware for easy fastening. All of our lights are built with corrosion resistant materials. LED :This item is all using LED lamp beads.NOT any incandescent Bulb! LEDs are brighter and light faster, draw less current and generate less heat than incandescent bulb.And LED lights can last 30-40 times longer than standard incandescent bulb, which saves you time and money. Standards compliant : Ambother lights are 100% compliant with DOT FMVSS108 standards. 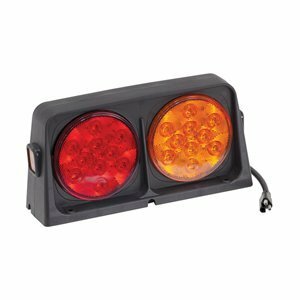 This ensures that it meet the federal government's requirements for visibility, durability, and reliability .In addition, Use DOT-compliant lamps can reduce the risk of liability for property damage or personal injury. COMPATIBILITY Application for under 80 Inch width towing vechile, like truck, trailer, boat, bus, Lorry, Van, caravan, snowmobile, etc. Please make sure wires connect correctly and no electronic short before marine/underwater. Our products have a three-year warranty. !If there are something wrong with product,please contact us as soon as possible! Applications: Works on any 12V vehicles. Perfectly suitable for all kinds of trucks, Trailer, Semi-trailer, Lorry, Off-road vehicle, ATV, SUV, UTE, Pickup, Tractor, Bus, Car, Boat, Caravan etc. 7.Usage:side marker lights, roof lights, corner rear/front/side lights, cab lights,clearance,smoke lights etc. This double-bullseye LED light can be used as a clearance or marker light; These LED lights have the double bullseye design just like the marker/clearance lights on Airstreams from 1969 and many later models; These lights go by a few different names - tiger eye and double bubble are the most common ones that we hear. This is a nice-sized light for anywhere on the truck. About 100mm(L)x 50mm(W) x 25mm(H) = 4 x 2 x 1; The light features a replaceable, snap-on lens. The white base surface mounts on standard 3 centers, and the two-wire design includes the lead and ground wires to mount to any surface. Different form many bullseye lights selling on the market, The wires do not exit from the middle but form the corner. 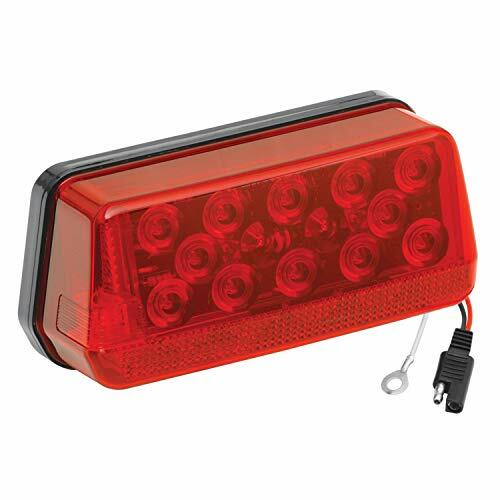 Black is the Negative and Red is the Positive; These 12V LED lights are universally wired for most trucks, trailers, pickups, semis, vans, RVs, Campers, buses, boats, ATVs, emergency vehicles, short trailers & extended trailers. 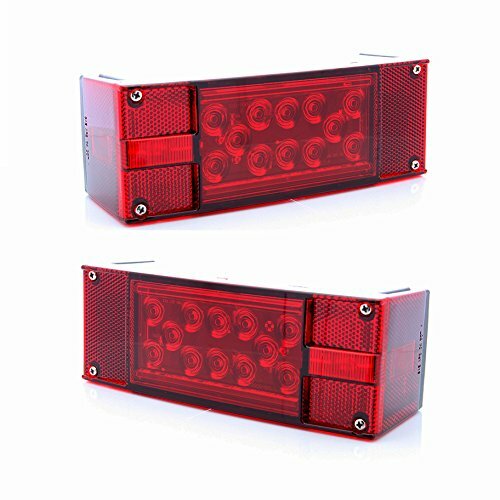 Ideal for cab and sleeper panels Usage: side marker lights, clearance lights, roof lights, corner rear/front/side lights, cab lights, clearance lamp, identification light, turn signal light etc. 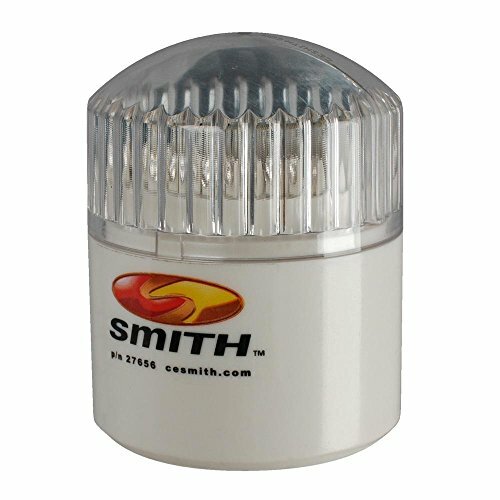 CE Smith 27656A, post Guide-On LED light kit. These tough long lasting, waterproof, shockproof LED post guide lamps make it easy to see your trailer's position when backing down the ramp and dramatically increase your trailers visibility over the road at night. 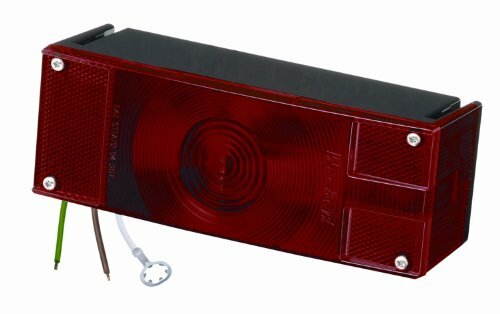 These lights are easily installed; they screw onto the top of your guideposts and wire into your trailer's tail lights. LEDs are long-lasting, energy efficient and more durable than incandescent lights. Sold in pairs.